BERNALILLO, N.M. (AP) – A state District Court jury in Sandoval County has acquitted a 25-year-old woman of first-degree murder in the fatal shooting of a longtime friend in Rio Rancho in 2013. In returning a not-guilty verdict Monday, the jury concluded that Amanda Jo Lucero might have shot 23-year-old Andrew Anderson in self-defense. His body was found on a busy street. According to police, Anderson was shot during a confrontation over items missing from a residence that he had just left. Defense lawyer Thomas Clark argued that his client had to shoot Anderson when he threatened Lucero and another woman with rocks and scissors. Prosecutors argued that Anderson was not a grave threat to the women and that the killing was premediated. The discovery of Anderson’s body around 7:30 a.m. Saturday resulted in an hours-long closure of N.M. 528 roadway between Sara Road and Barbara Loop. This entry was posted in Dead, Man, New Mexico on December 28, 2013 by usgunviolence. FARMINGTON — U.S. Marshals on Tuesday arrested a man suspected of shooting a 39-year-old man to death early Sunday morning at a Farmington apartment on North Butler Avenue, according to Farmington police. Federal agents arrested Mark Hinojos, 24, on Tuesday evening at San Juan Apartments, 2614 E. 20th St., said Georgette Allen, a Farmington police spokeswoman. A warrant charging Hinojos with second-degree murder in connection to Randy McKenzie’s death was issued late Monday. McKenzie’s body was found late Monday night near an oil field road in Crouch Mesa. 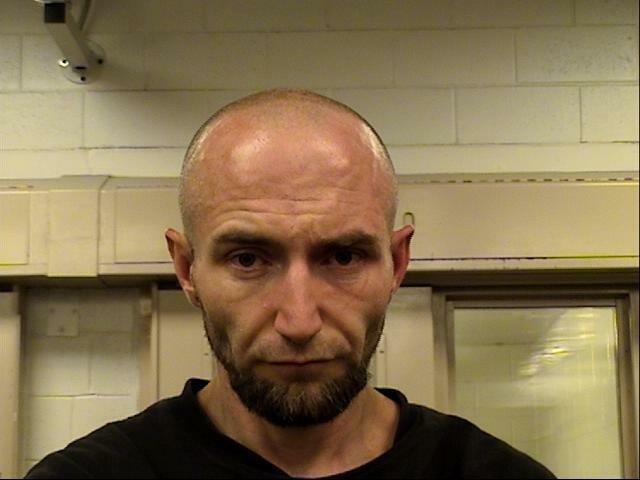 He had been shot in the chest early Sunday at the Farmington apartment during a birthday party, and his body was dumped in the isolated area of San Juan County, according to court documents. His sister reported the shooting to police on Sunday afternoon after learning about the incident via Facebook. Hinojos is accused of shooting McKenzie, 39, during a party on Dec. 15, 2013, at an apartment at 3986 N. Butler Ave. Witnesses told police McKenzie got into a fight with Jaime Montano during the party, and Hinojos interceded by shooting McKenzie three times in the chest, according to Daily Times archives. This entry was posted in Dead, Man, New Mexico on December 15, 2013 by usgunviolence. In last Sunday’s fatal shooting, an officer fired multiple rounds from a beanbag gun at the suspect before another officer fatally shot him as he rushed at the officers with a 10-inch claw hammer, interim Albuquerque Police Chief Allen Banks said Friday. Banks provided the first detailed account of the shooting at a news conference Friday afternoon. He said that a 7-Eleven clerk at University and Central had called 911 around 9:30 p.m. after Andy Snider, 37, got into a fight with another person in the store. Banks said that after police found Snider, he ran into an alley. When Snider ignored officers’ commands, officer Nathan Cadroy shot him “multiple” times with a beanbag gun. Banks said Officer Hector Marquez, who joined the department three years ago, shot Snider at least once in the torso. Snider was transported to the hospital where he was pronounced dead. The estate of Andy Snider, who was shot and killed by two Albuquerque Police Department officers December 8, 2013, is suing the two officers involved in the incident for what it calls his wrongful death, as well as the city of Albuquerque for allegedly failing to properly train its officers. APD officers Hector Marquez and Nathan Cadroy-Croteau shot Snider, who was 37 when he died, after originally responding to a call about a man armed with a hammer that evening. The lawsuit asks for financial relief for Snider’s estate for various reasons, including Snider’s “wrongful death,” medical care and funeral costs, Snider’s lost earnings and future earnings, and emotional compensation for his family and estate, among others. This entry was posted in Dead, Man, New Mexico, Shot by Police on December 8, 2013 by usgunviolence. When the shooter who killed an unarmed Taos Pueblo man in a gas station parking lot was sentenced Dec. 4 to one year in prison for the slaying, Michelle Concha said the federal judge’s decision sent a shocking message. 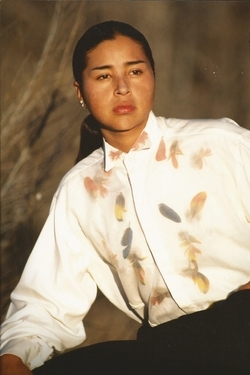 “Who’s to say our Native young men aren’t fair game?” she told The Taos News this week. An aunt of Nicholas “Sul” Concha, 28, she alleges federal prosecutors failed in his case. Medina, a local plumber, reportedly stopped to fuel his truck at the Allsup’s on Paseo del Pueblo Norte after attending a Taos High School football game the evening of Nov. 30, 2013. A truck occupied by Nicholas “Sul” Concha and two cousins reportedly parked at a neighboring pump around 7 p.m. The driver, a cousin, is said to have exited the truck and entered the gas station. Meanwhile, Nicholas “Sul” Concha reportedly stepped out of the truck and struck up a conversation about bow hunting with Medina. The two men are said to have been strangers. Both the U.S. Attorney and Medina’s lawyer claim Nicholas “Sul” Concha then punched him but no account of that evening offers a clear explanation as to why. The U.S. Attorney did not depict Nicholas “Sul” Concha as raging but wrote in court filings that he attacked Medina, knocking him against the side of his truck and then onto the pavement. Medina reportedly got up from the ground, went to the console of his truck, retrieved a handgun and fired a single bullet at Nicholas “Sul” Concha 30 feet away. The fatal round struck him in his right temple, according to an autopsy quoted in both sentencing memorandums. Medina later told investigators he “freaked out” after Nicholas “Sul” Concha purportedly struck him and feared being attacked or robbed by his companions. This entry was posted in Dead, Man, New Mexico on November 30, 2013 by usgunviolence. An Army soldier who was shot and killed Wednesday morning by a Pima County sheriff’s deputy was in Tucson on leave to attend his father’s funeral. The father and son had both been described as suicidal, and each was involved in standoffs with law enforcement at the same Tucson-area home within the last three weeks. Marty Maiden II, 20, was killed by the deputy at the house where Maiden’s father, also named Marty Maiden, shot himself on Halloween during a prolonged standoff, said Deputy Courtney Rodriguez, a Pima County Sheriff’s Department spokeswoman. After the attempted suicide, the elder Maiden, 51, an Air Force veteran who had a series of health problems during the year, died Nov. 3, according to postings from family on Facebook and from an online obituary website. His funeral service was Friday. The elder Maiden, who had worked in the aviation field, was described in postings as a loving family man who liked to cook, restore old vehicles, collect guns and go camping. On Wednesday, deputies were sent to the Maiden home in the 7500 block of South Woodbury Grove Drive, southwest of Tucson, at about 7:30 a.m., Rodriguez said. The house is in a neighborhood near South Wade and West Valencia roads. Deputies were dispatched after a 911 call about a suicidal man at the residence, she said. The younger Maiden barricaded himself in his family’s home, Rodriguez said. Neighbors were evacuated from their homes and SWAT officers were called in to assess the situation. Maiden called 911 to report a suicidal person. When the call taker asked him who was suicidal, Maiden responded “me” and hung up the phone. Friends also reported to 911 that Maiden had written some suicidal comments on Facebook. Deputies tried but were not succesful in establishing contact with Maiden, who was inside the house. The SWAT team was called in and at 9:30 a.m. Maiden came outside the residence armed with a semi-automatic rifle and a shotgun. When he pointed the guns at deputies he was shot once by a deputy. 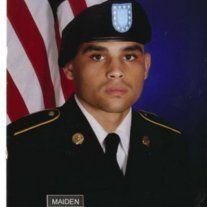 Maiden, who was on leave from a deployment to Afghanistan, was pronounced dead at the scene. His Facebook page said he was in an Army unit stationed at Fort Hood, Texas. This entry was posted in Dead, Man, New Mexico, Shot by Police on November 20, 2013 by usgunviolence. N.M.—Albuquerque police say a gunshot victim has died after being found lying on the ground. Officer Simon Drobik says officers responding Sunday to a call of shots fired initially thought the man had passed out but then found he’d been shot. Media reports described the location as either a street or a driveway. Police identified the victim as 21-year-old Manuel Vargas. Police also today identified the man found with gunshot wounds in the driveway of 804 San Pedro SE just after noon Sunday as 21-year-old Manuel Vargas. This entry was posted in Dead, Man, New Mexico on November 17, 2013 by usgunviolence.